The Downers Grove Township Clerk is your local election authority responsible for fulfilling all requirements leading up to the primary and consolidated elections. This process begins in December when the Clerk notifies the chairman of each political party not less than 30 days before the caucus of their obligation to inform the Town Clerk of the time and location of their caucus. The chairman of each party replies to the Clerk not less than 20 days before the caucus of the time and place of the caucus. At least ten days before the caucus the Clerk publishes a notice in the local paper of the time and location of each party’s caucus. Each party sets the rules and procedures for their respective caucus. The Township pays the cost of each caucus. Once the candidates have been nominated, the party chairman files a Certificate of Nomination by Caucus, listing each candidate and the office each candidate is seeking, with the Clerk’s office 113 to 106 days before the election, signed by the chairman and secretary of the caucus. The filing includes for each candidate a Statement of Candidacy, receipt for filing a Statement of Economic Interest with the county clerk and the Loyalty Oath (optional). 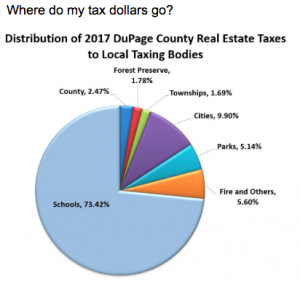 The candidate for Assessor must also include proof of his or her qualifications pursuant to the provisions of the Property Tax Code. The Clerk mails to each candidate a Notice of Obligation (form D-5) within two days of filing of nomination papers. The Clerk notifies each party chairman that he or she will be holding a lottery to decide ballot placement. Each chairman is invited to attend or send a representative. When the lottery is done the nominees must be certified and placed on the ballot in the order they appear on the caucus certificate. In addition to the names, the party name, and the number to be elected, the term of office must be included on the certification. All nominating papers are kept for a period of six months. This concludes the Clerk’s official duties leading up to the election.